The Taylor Twelve. Sons of a preacher but far from saints, these men are nothing but trouble. 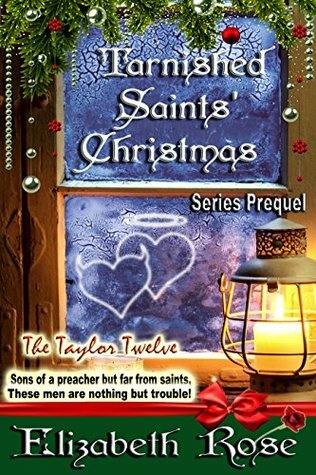 Tarnished Saints' Christmas is an introduction to each of the twelve Taylor men when they were children. Told by the eldest son, Thomas, the author lets the reader into their lives one memorable Christmas. Each chapter is devoted to one of the brothers to show the trouble they caused in their earlier days which carries into their present lives as well, therefore giving them the title of Tarnished Saints. The story is approximately 15,000 words followed by excerpts from some of the Tarnished Saints books. This is a twelve book series. Five of the books are now available with the next one coming this fall. Watch for another of the brothers' stories to be released every few months. 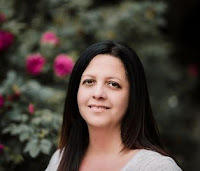 Be sure to see the book trailer on the author's amazon page or website at http://elizabethrosenovels.com, where you can also read excerpts or see sneak peeks of the upcoming covers. This was a sweet prequel telling the back stories of who the twelve men are in the coming 12 books in the series. Before you were to get into the meat and potatoes of their own stories. 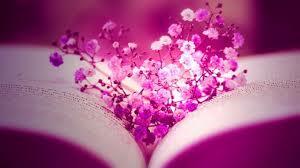 This prequel is told from the POV of Thomas the eldest son who is 19 at the time. He really doesn’t need to be under the thumb of his very strict preacher father but he does, as his brother Levi. Did I happen to mention there are twelve boys altogether? Each having the names of the saints. By the mishaps, they seem to get themselves into and to hear their pa tell it they are tarnished saints at that for sure. Although, their father ruled with an iron fist there was still love and respect in the family. Their mas was the one that kept them glued together as a family. She would be the quiet saint loving her boys. Take the time to share in their cute escapades. They are anything but holy giving their father a run for his money. Remember it is just setting it up for the stories of each son of the preacher. I give this: 4 stars. Provided by author for honest review. Follow us at: www.1rad-readerreviews.com.